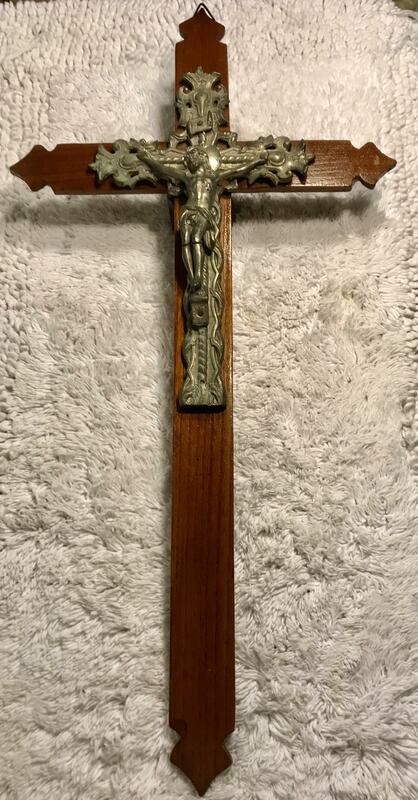 Large antique French wood & metal wall crucifix, possibly from a monastery or church. 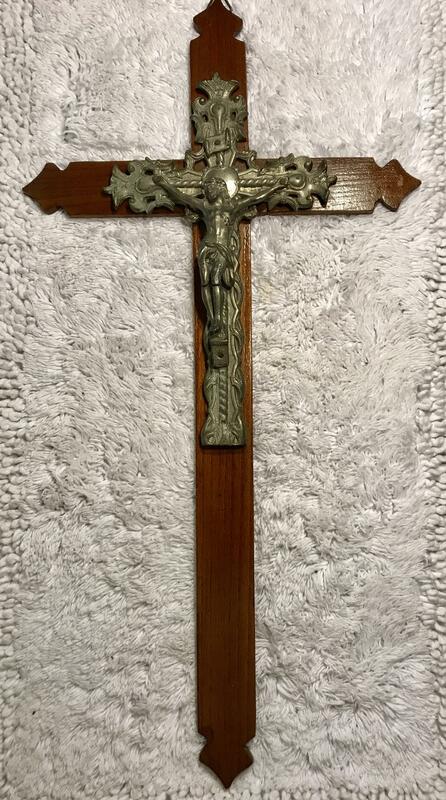 It is in very good condition and measures 22.75"L x 11.5"W and weights about 2 pounds. 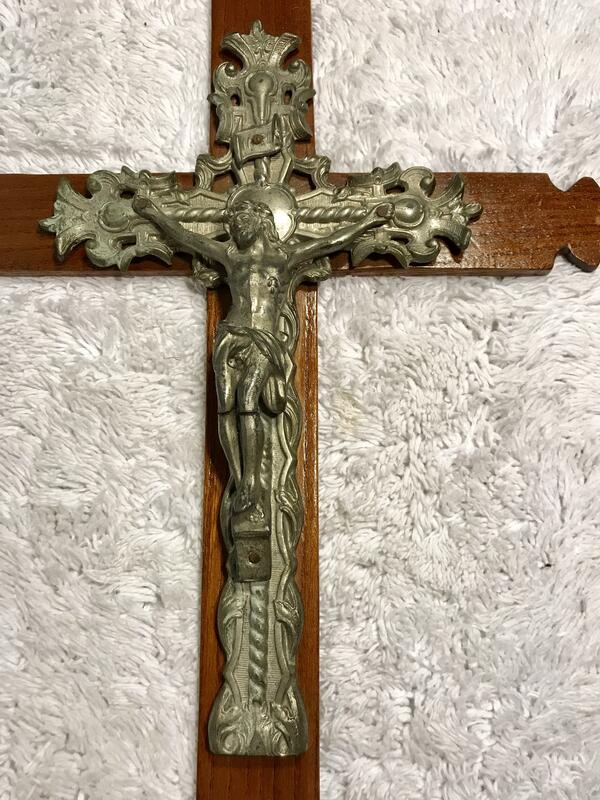 The corpus is made of a pewter-colored metal and has very fine ornate detailing. 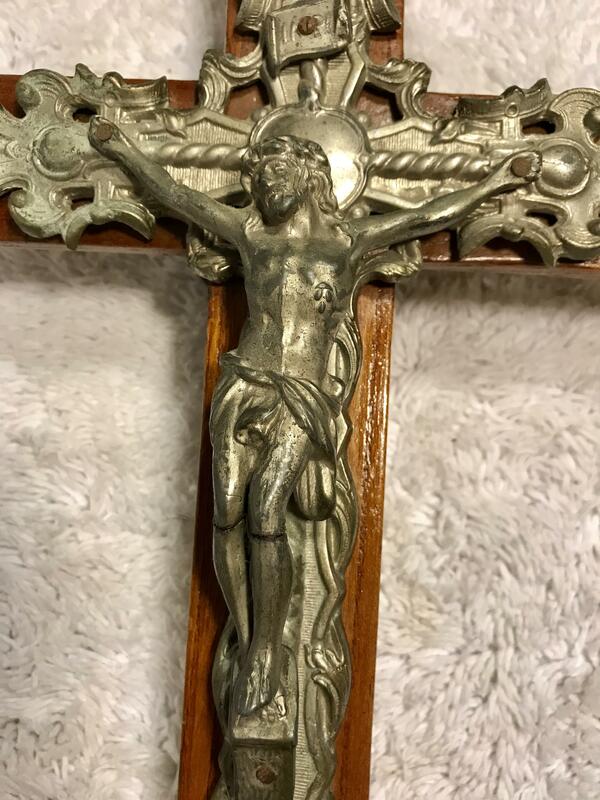 The INRI is fixed, but swivels freely.